Barely made it in December, but first beta of Ajatus, the distributed CRM is now available. Enjoy! Read the installation instructions to get started. Once CouchDb 0.7+ has proper installers available things will be much easier. Now for champagne… Happy new year from the Nemein team! 29 April 2004. 1 minute read. 17 November 2007. 1 minute read. Version 0.7.0 of CouchDb was released yesterday. 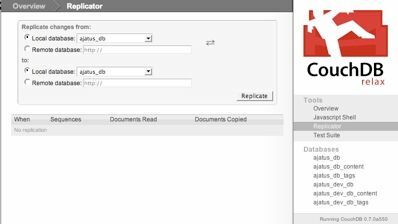 CouchDb is a very interesting object database that powers our Ajatus CRM.